The Eastern and Southern African Trade and Development Bank (PTA Bank) is to issue medium term bonds at Dar Es Salaam Stock Exchange (DSE). According to the information memorandum the bank will issue up to thirty two billion, six hundred million (TZS 32,600,000,000) medium term notes. According to the indicative pricing supplements PTA five year bond issue date is May 7th 2015 and maturity date is April 30th 2020. The applicable bond interest rate is the reference rate plus margin corresponding to most recently published Government of Tanzania 182-day Treasury Bill rate plus 2.00%. The minimum amount to be raised in order for the issue to be considered successful is TZS 16 billion. 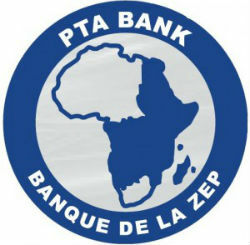 The PTA Bank provides project and infrastructure finance and trade finance as its core products and service. The Bank has successfully issued in the past local currency bonds in Tanzania, Kenya and Uganda, with the proceeds of the bonds being invested in the respective countries of issuance.